Due to an unexpected personal emergency, Tammy Seley Elliott will not be able to serve as our keynote speaker at this year’s annual breakfast meeting. We wish her the best of luck and peace with her issues. 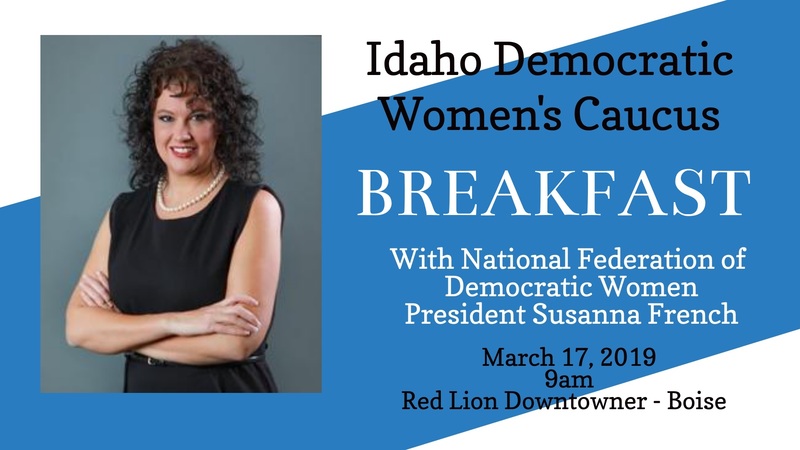 We are excited to announce that Susanna French, the President of the National Federation of Democratic Women, has agreed to serve as our keynote speaker. In 2017, Susanna was elected President after serving as 1st Vice President for two years. She also serves as Emerge KY Board Vice Chair, which trains women to run for office. She is a passionate advocate for women and believes that women have the power to do anything when we come together. When not traveling the country, she is the general manager of Alexander Development – Premier Disaster Restoration and the co-owner of a retail business with her husband, Jamie French. We look forward to seeing everyone at the breakfast and encourage attendees to buy their tickets online to speed up the check-in process. 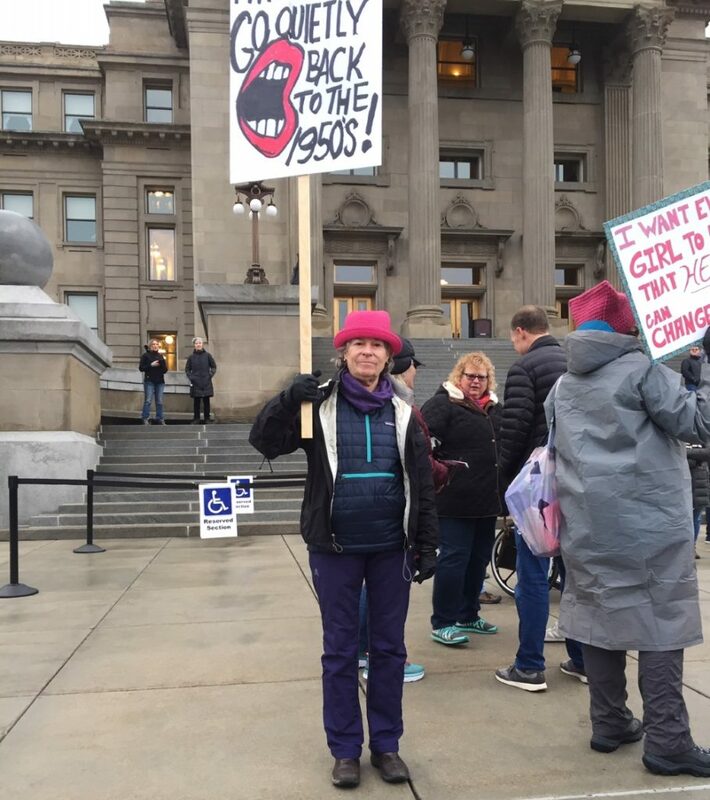 Women marched on January 19, 2019, to rally and speak up about the direction of this nation all across Idaho. Women are empowered to stand up and get involved in various ways to make a difference in their communities. Women are the backbone of this country and we applaud all those individuals who took the time to attend this annual event. 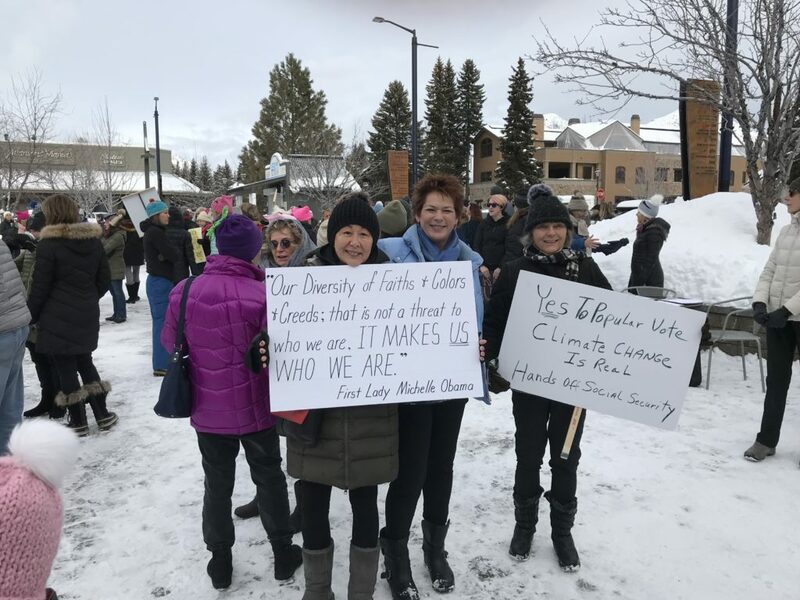 Region 5 Director Karen Bliss and IDWC President Gini Ballou participated in the March in Sun Valley, Idaho. 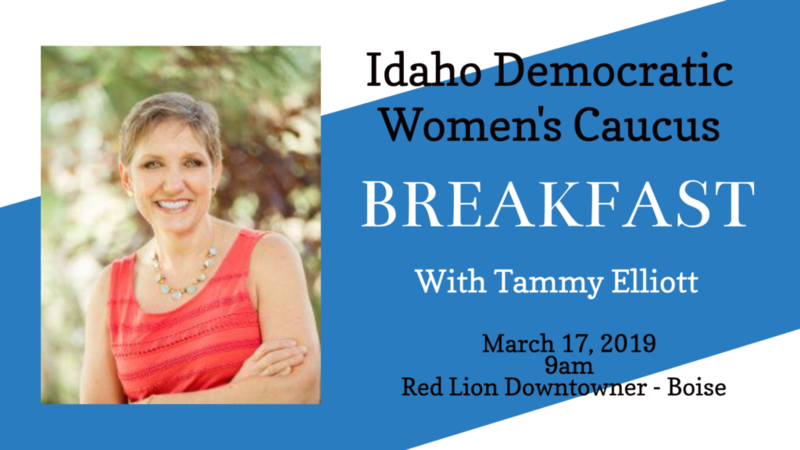 Various officers of the Idaho Democratic Women’s Caucus also participated in their communities. We believe that actions speak loudly and are proud to advocate more equality in Idaho. Region 7 Director Julie Dahlgren participated in the March in Boise, Idaho. 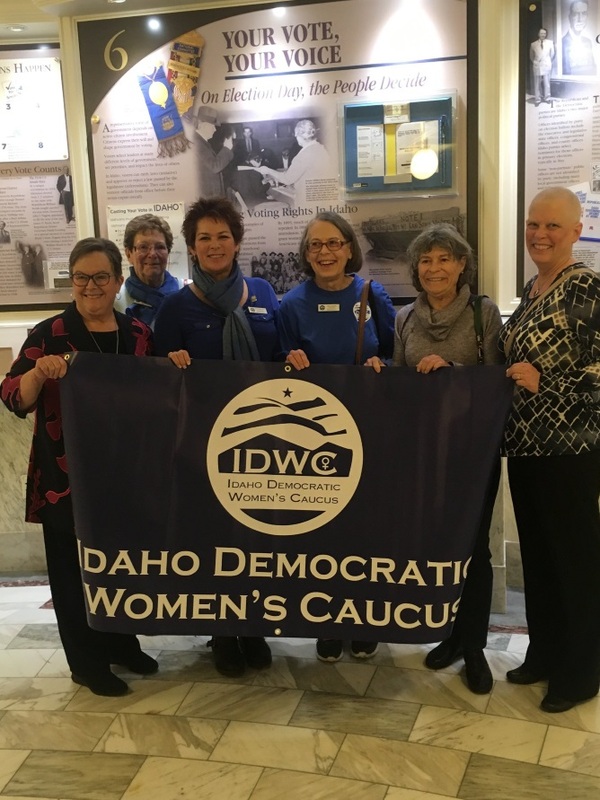 Members of the IDWC Executive Committee and public visited the State Capitol to lobby for our issues. We had a great time at the Idaho State Capitol at this year’s Women in Blue event. We spoke with many of the legislators about the importance of expanding Medicaid without restrictions. It was nice to see of our new female Democratic legislators including Muffy Davis and Brooke Green representing our interests on the floor. We would like to thank everyone who came out and encourage everyone to go to the Womxn’s March tomorrow.